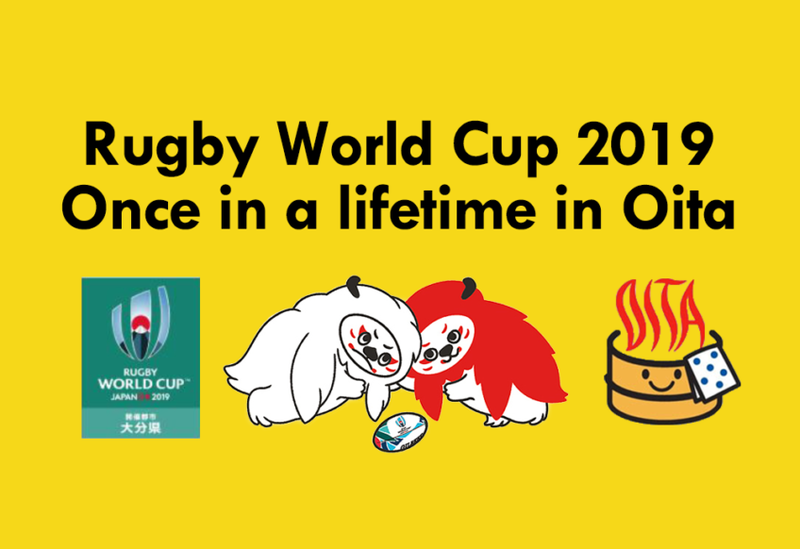 Check out these videos to learn more about Nakatsu City. 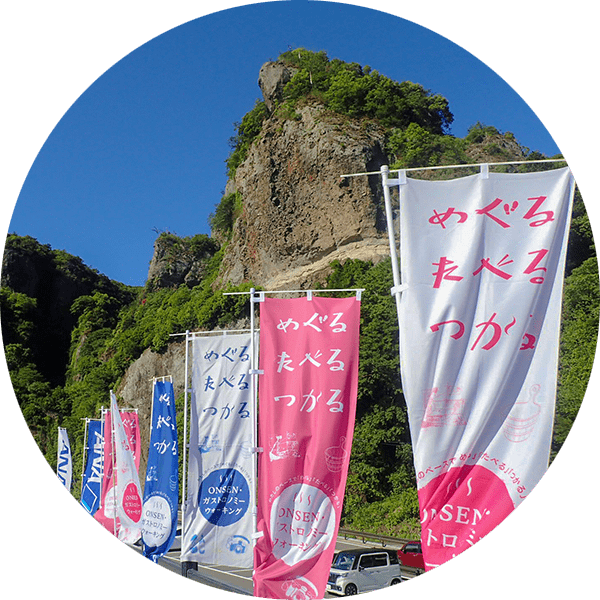 Nakatsu City, the gateway of Oita, has rich nature, fascinating history, and real heritage. 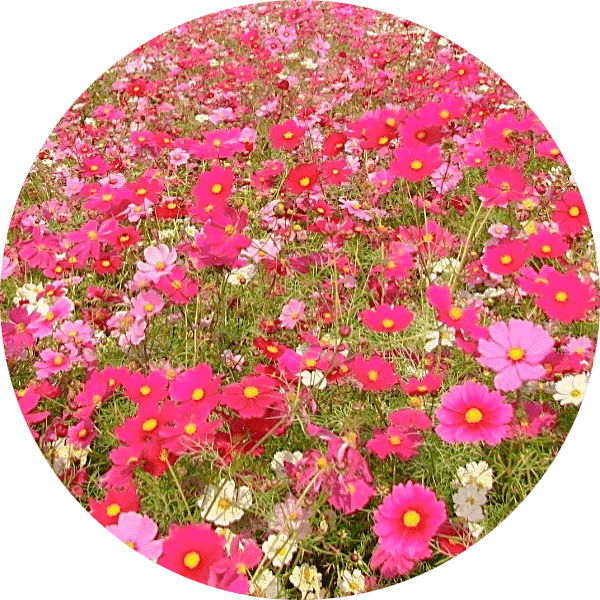 This unique mix makes the city one of the most popular destinations in Kyushu. It’s full of things to see and do. 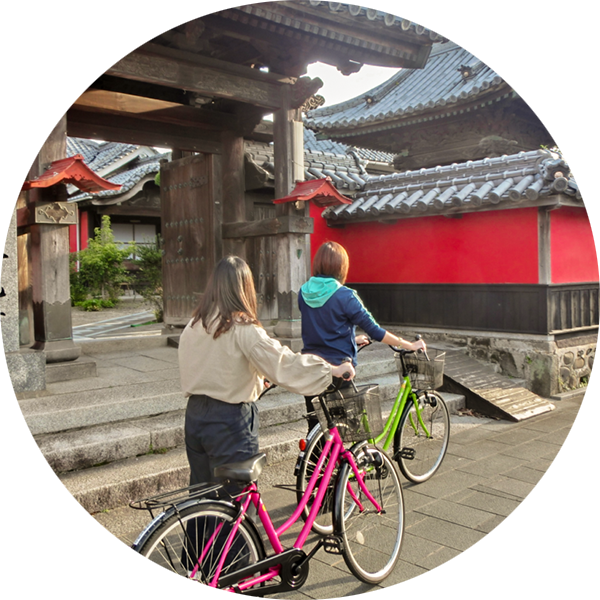 Nakatsu is a city with a long history where many treasures have been well preserved. 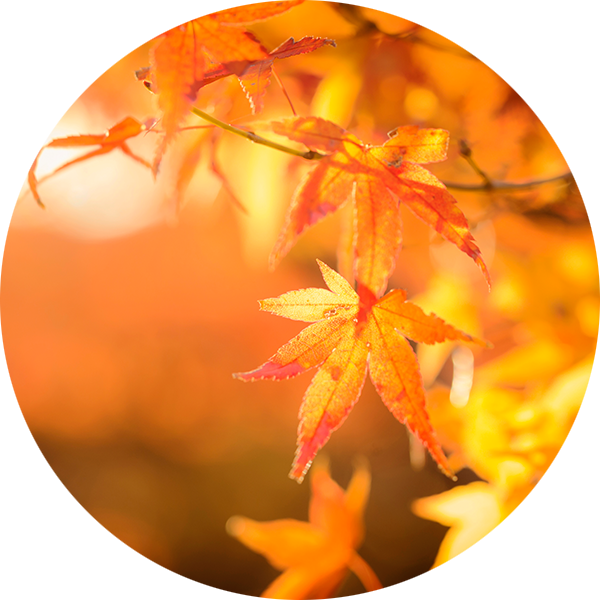 Sakura and Momiji are icons that remind us of the seasons changing. 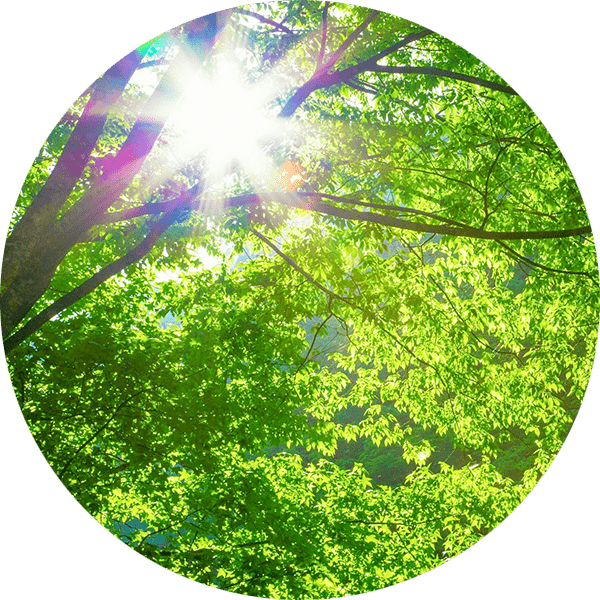 There are other essences that inspire new seasons. Visitors will find special features of the seasons all year round. 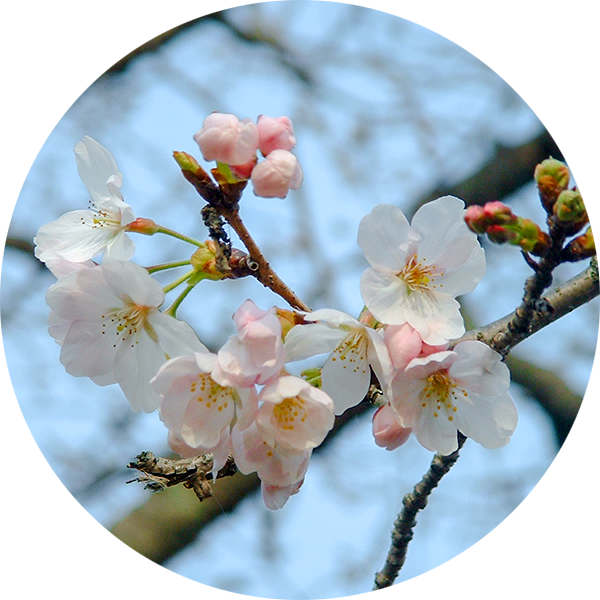 New leaves cover Nakatsu following Sakura, which gently ushers in the warmth and liveliness of spring. Sakura and the Castle go well together. It is an ideal backdrop for your souvenir photos of Japan. 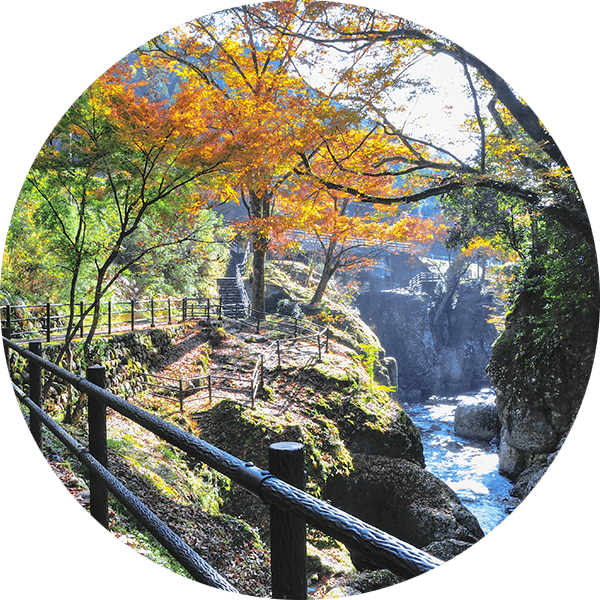 Yabakei is one of the most popular destinations for fall colors in Kyushu and Japan. 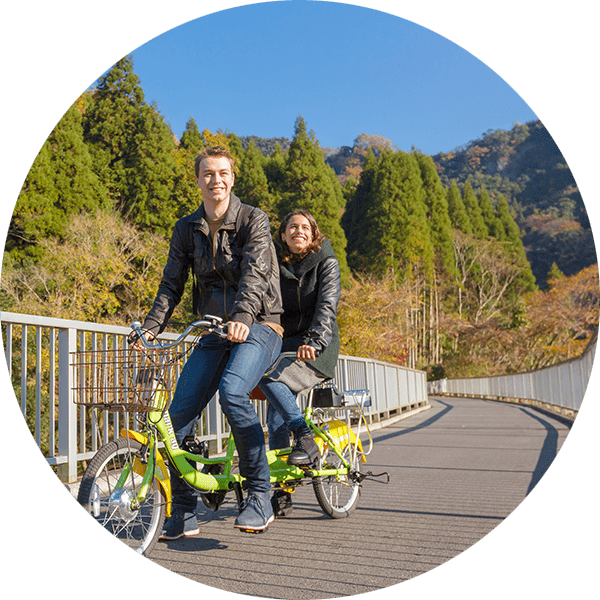 Be prepared for an amazing holiday experience riding Kyushu’s greatest cycling road or walking stunning scenic trails. They are the best ways to explore the beautiful landscape and sightseeing spots. Cycling is the best solution to look around the compact Castle Town. Maple Yaba Cycling Road is the longest cycle trail in Kyushu, and ranks high throughout all of Japan. The combination of cycling and walking has become popular among active tourists. The ideal environment is here. 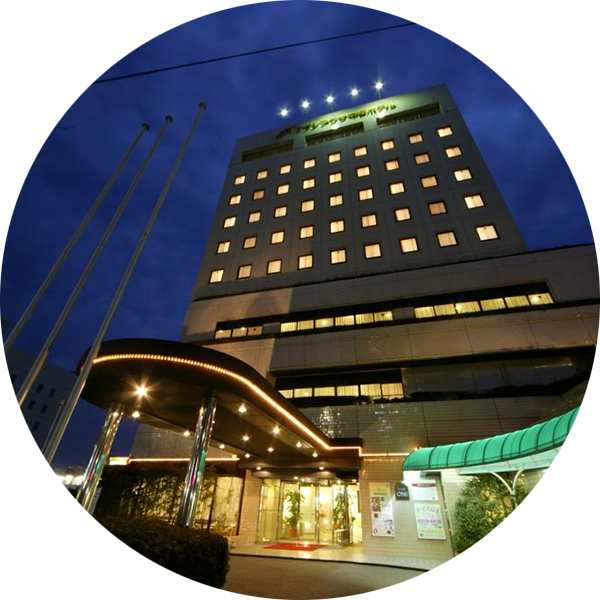 Within minutes’ walk from JR station there are Budget-Friendly Hotels. For real experience seekers, a warm-hearted Homestay can be option. 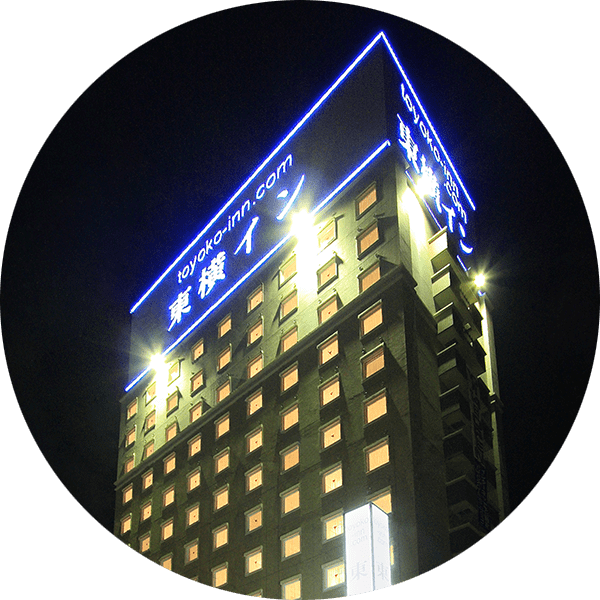 Deluxe Onsen Boutique Hotels make your stay superior and memorable. 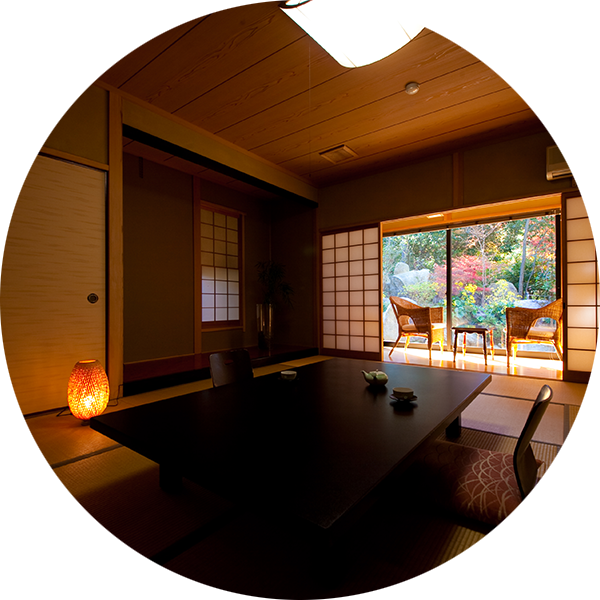 Tatami rooms and Onsen are essential to creating the pleasant atmosphere of traditional Japan. They are a great way to make your stay truly unique. “business hotels” near JR station have plenty of rooms available. 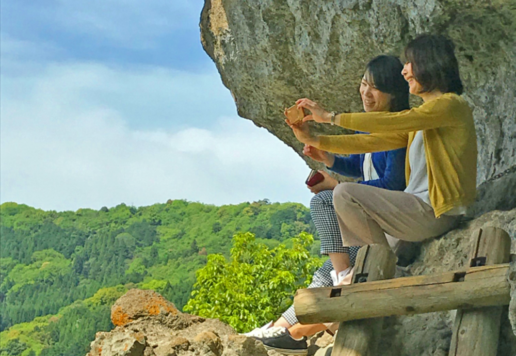 Minpaku (Homestay) are unforgettable experiences that will make your stay in Nakatsu city feel like visiting your second home. You will discover a wide range of fresh and tasty local food. 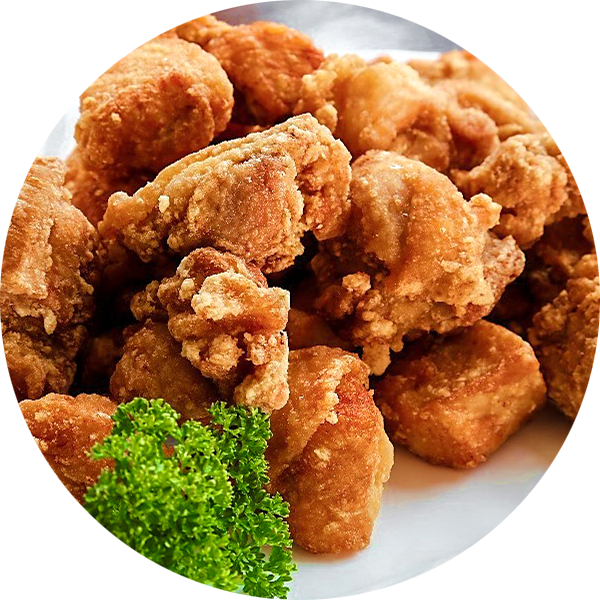 Nakatsu Karaage fried chicken is famous nationwide, and is always at the top of any “must-try” list. There are also many other culinary delights. 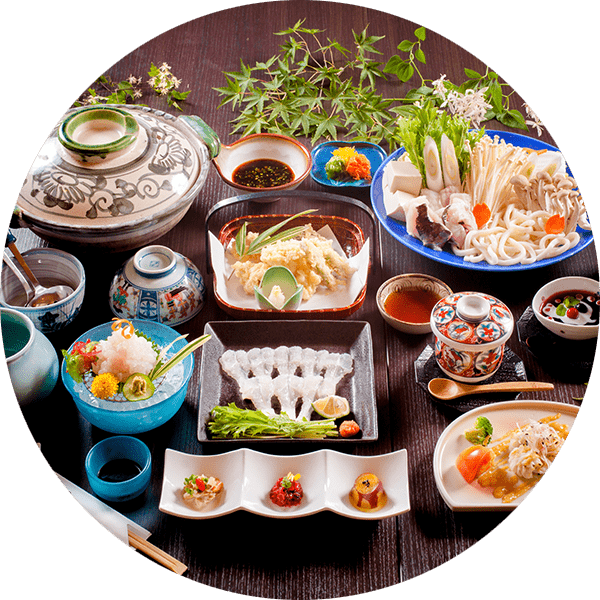 Nakatsu city never lets foodies down. 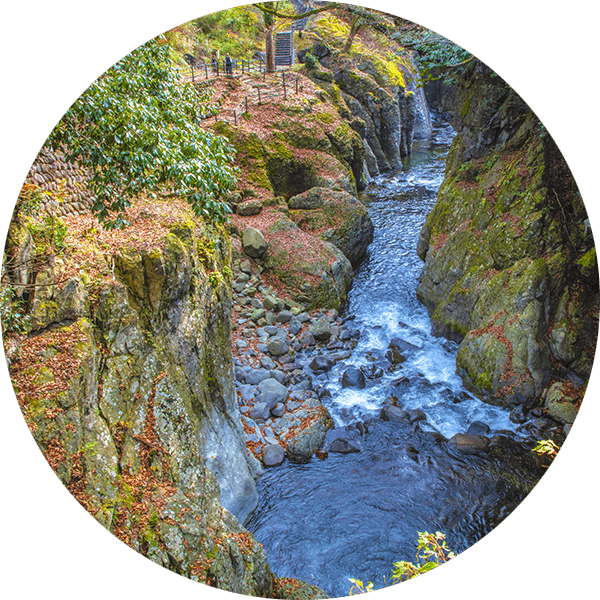 Yamakuni River that run through Nakatsu city brings plenty of nutrients to enrich Buzen-Kai beyond our coastline, where fresh seafood is harvested. The recognized national brand of fried-chicken has built up its reputation for decades. This is a must-try food here in Nakatsu. Are you passionate about sweets? Here’s where you can come across something different. 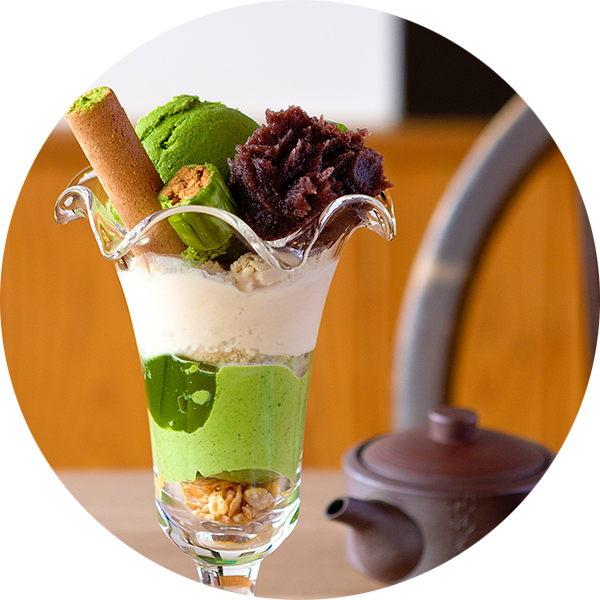 In the historical castle town, Nakatsu, there’re always great fusion sweets. Nakatsu City is the gateway of Oita prefecture. Three major airports (Fukuoka, Kitakyushu, Oita) are within 1 to 1.5 hours’ distance by train or car via motorways. It takes less than 40 minutes by train from JR Kokura station where the bullet train stops.